2018 ISSMA Regional – Lafayette Jefferson H.S. 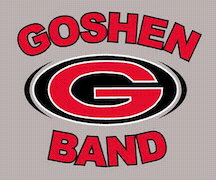 The Goshen Crimson Marching Band takes the field at 8pm on Saturday for the ISSMA regional competition. The bands will vie for a spot at the ISSMA semi-state competition.